We had a good turnout for the 2018 PRSA President’s Cup Regatta, fantastic racing weather all weekend, and a packed spectator boat on Sunday. What a great regatta! Congratulations to Aaron, Andrew, Piercarlo, and Tom for taking the win on Beedobeat. John Van Voorhis, Rachel, David gave them a run for their money though! Many thanks to PRO Jim Graham (upper course) and PRO Will Phillppe (lower course) and their RC crews for all of the work that they did to get us lots of racing. Results are posted here. Stay tuned for links to photos and more! Register for the 2018 PRSA President’s Cup! The 2018 PRSA President’s Cup Regatta will be held September 15 & 16 at Washington Sailing Marina, continuing the long tradition of competitive one-design racing started by the President’s Cup in 1934. The regatta will be sailed on the Potomac River on two courses. Visit the regatta website to view the NOR and register for the 2018 President’s Cup! Registration fees increase after September 10, so make sure to register and pay online before September 10 to benefit from the early registration discount. We will once again offer a spectator cruise aboard the historic schooner American Spirit (this year’s cruise will be held on Sunday, Sept. 16) so be sure to tell your friends and family! 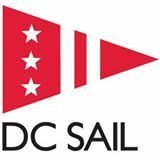 Thanks to our regatta sponsor, Annapolis Performance Sailing, and to DC Sail for the partnership that allows us to offer a spectator cruise aboard the American Spirit! The results are in! Head over to the PRSA Results Page to view the final standings for the 2018 PRSA Spring Series. We had a good turnout for the PRSA Rookie Regatta this past Sunday, with 6 I-20s, 6 Lightnings, 3 Albacores, and 2 Buccaneers coming out for the fun. Several boats had a true rookie on board, and those that didn’t had crews driving and drivers crewing. Congrats to David Keto (15117) and Tom Hutton (15142) on tying for first place in the Lightning fleet. Joe and Marco on 12416 also had a great showing, finishing 2nd overall. Results are posted below. I’ve also included a few of my observations from the course on Lightning #14592 (from the middle position while Piercarlo drove his first races in a long while!). You should feel free to add your observations in the comments section! The weather looked much more promising than the forecast as we arrived at the marina on Sunday. We sailed up to the course in a nice northerly breeze…only to see it become soft and spotty as the first starts got going. PRO Allen Griffen and his RC crew did a great job in adjusting the course but also getting us as many races as possible in a very shifty and variable N/NE/NW wind. With short T1 courses the start was important, and we found that getting a good start and staying in the pressure (generally up the left side of the course along the airport, though this was not the case in the first race) was paramount. Making sure to keep the boat moving forward fast, even when headed, was also important in all of the shifts and swirls. Over the 3 races we saw conditions ranging from nearly no wind to full on hiking conditions (for a few moments at least). Overall, though, the racing was fun and clean, and it was great to see new faces on boats and familiar people in new positions. The sun even came out enough for us to enjoy a nice post-race BBQ and awards ceremony! The Spring Series Has (Finally!) Begun! We had a great turnout this past Sunday with 9 Lightnings on the line and 3 more represented on the RC — that is 12 boats for a Spring Series race! We were especially thrilled to welcome Mike and Angela Darrah on #15259 to the Fleet for their first PRSA races. Watch out folks — they are fast! It was also good to see Karl and Kevin Wagerson out on 14566 and to have Jim Dillard join us on 15311 for some of his first PRSA Sunday Series racing in a while. I was PRO for the day (with Bob Gotthardt and Lisa-Marie Lane rounding out the RC). All I can say is that it was a very goofy day, with “east” winds varying wildly in velocity and direction all day long. We saw the breeze swing from 35 degrees to 115 degrees and back in just a minute or two, and there was more than one instance of a breeze directly out of the south settling over the course for a few minutes, before reverting back to an easterly. Given the wind direction the O2 courses were short, but they were surely challenging for the sailors given the shifty and puffy conditions. We were able to get 5 races in (!) before sending the boats back to shore to enjoy the PRSA season-opening BBQ. Results will be posted to the PRSA website soon! Please mark your calendars for our 2018 AGM on Saturday 2/24/18 from 6pm-9pm at the Lane Residence in Ashburn, 42778 Explorer Drive, Brambleton VA. The snow date will be March 3rd. We are going to stick with the potluck format, so please click on this link to sign up: http://bit.ly/2Gkwpfc Please sign up so we know how many people are coming and what delicious dishes you are bringing. While you are at it, make sure to submit your nominations for our Fleet 50 awards if you’ve not already done so. Skippers can also fill out a membership form for dues renewal for 2018 (Bob will be taking money at the AGM!) so that you’re all set to sail once the weather warms up a bit! We look forward to seeing you all on the 24th for some great food and drink in fantastic company! AGM Date and Fleet 50 Awards! Although we are still starting to defrost, we are trying to finalize the details for our upcoming AGM. In order to have the greatest participation, please take a moment to vote for your preferred date (and location). Please complete your preferences no later than Jan 25th, so we can start organizing the meeting. If you haven’t taken the time to complete the Fleet 50 Awards Nominations, please take a moment to nomination your fellow sailors for our Fleet 50 Awards as well. The AMG also starts the new membership year, so Skippers please fill out a membership form for dues renewal ($20.00) for 2018. You can either mail them directly to Bob Gotthardt or bring the completed form & dues to the AGM. Finally, don’t forget that your PRSA Dues need to be paid by January 15 in order to avoid a late fee! Attendees must be members of US Sailing. The course fee is $80 which covers the class, materials, continental breakfast & coffee, plus lunch. The two day class will begin each day at 0830 and run through 1630. There is an on-line quiz after the course if attendees are interested in becoming certified. This coming Sunday is the last day of racing for the fall series. The forecast is for partly cloudy skies with a high of 52 and moderate winds from the south. It it holds true, this should be a great day to end the season! Then next Saturday is the PRSA Annual Meeting and Awards Banquet. Visit the PRSA website for details and to sign up! Last weekend, team As You Wish…was in Hampton VA for the Fall Fling. It was a great event with 2 days of racing and one of the highest turnouts in many years. There were 7 Lightnings, and would have been 8, except 2 boats needed crew and had to combine boats. Sat we had 5 hard races, the wind was predominately steady from the north winds from 15-20. The steady breeze made the 5 races races very lively and tiring but never out of control or too much to handle. Saturday night the Hampton Yacht Club members hosted an awesome Pot Luck/Oyster Roast at one of the member’s homes a few blocks away from the club. By Sunday, the breeze was predicted to die all day following the front that came thru but it stayed in the 5-6 range and the RC was able to get in 2 additional races. This was the prefect way to end the regatta, the temps were in the 70’s, most of us were wearing shorts and although the winds were light, no paddling was required! Congrats again to the winners, Trevor Prior, Hans & Gary sailed well and placed 1st; Joe Bukowski, Ed Lane & Zack Bukowski came in 2nd and Team Hurban, Joan, Gary and Paulie Kaiser were a very close 3rd. (See the pics below). Some winter thoughts…If you have not considered traveling to away regattas, please reconsider. When Jim and I first joined Fleet 50 and were trying to “get the basics” of this incredibly humbling boat down, the number one recommendation to getting more experience by traveling to away regattas. Although when we first considered traveling it was quite overwhelming, it has been the best thing we have done to gain experience. If you have questions, just ask! There are many folks who will help with recommendations and procedures on traveling, stepping your mast, setting up your boat and all around cheerleads for new teams. And most importantly, the host clubs are so excited to get more boats on the line! You will find new friendships, lots of great sailing stories and invaluable knowledge. Lightning sailors are a tight knit group that will go out of their way to support each other! Hope to see everyone Sunday! PRSA Fall Series #3: More Tricky Potomac Sailing! Here is the writeup on PRSA Fall Series #3 from John Van Voorhis. Kudos to John and David for taking 1st on the day with three well-earned 2nd place finishes! Last Sunday, 10/1, started out a little chilly, but by the time we were done sailing we had a gorgeous fall day. The Race Committee tried starting us early due to the wind forecast, but the wind didn’t cooperate. It really didn’t cooperate all day, but the RC did a great job getting off three races for the Lightnings. The wind was shifting from back and from from the NNE enough that the favored end of the starting line would switch back and forth through the starting sequence. For races one and two, the wind tended toward the east, then in race three it was going all the way around the clock as small convection cells moved across the race course. David and I managed to get three seconds on the day, so we felt pretty good. In the first race we had a not so great start, but managed to catch the right shift correctly and get to the first mark first. With the way the shifts came in it seems as if being rightmost boat, but near the middle of the course worked best for us in the first race. Think it was Nabeel who passed us on the second weather leg and we couldn’t pass him down wind. In the second race, we got exactly the start we wanted at the favored end by the committee boat, and were able to hold on near the front through the whole race. I don’t remember who passed us, but again there was a lot of shifting wind and middle right with clear air worked for us. In those conditions we let the jib tell us when to tack and eased out the main a lot when we couldn’t see the wind. We blew it on the last down wind leg by setting the spinnaker, when we shouldn’t have. Don’t forget to check if you can lay the mark! In the last race we had an ok start, but that first leg took forever as the wind was coming straight down. Again we stayed calm as we passed and were passed by other boats. Thankfully the wind filled in enough for all of us to get back to the marina under sail.